Los Robles Master Chorale (LRMC), led by Artistic Director Lesley Leighton and lauded for its “robust choral tapestry” (Artillery), is one of Southern California’s premier choirs. Celebrating a rich legacy and hailed for its remarkable sound, striking versatility, and commitment to commissioning new choral works, the 100+voice chorus harnesses the power of music to enrich people of all ages. With repertoire ranging from early music and great choral masterworks to folk, contemporary and world music, LRMC presents its own concert series each season and performs with leading music organizations across the Southland in such iconic venues as Walt Disney Concert Hall, Hollywood Bowl and Royce Hall. The chorale has recently appeared with the Los Angeles Philharmonic, San Bernardino Symphony Orchestra, the New West Symphony, among others. The Los Robles Master Chorale’s 2018-19 season is highlighted by a compelling array of world premieres, debut performances and incomparable masterworks. 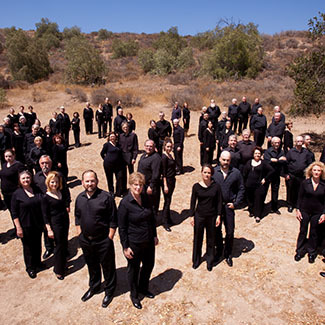 The chorus presents four concerts led by Leighton, including Handel’s Messiah on December 1, at Church of the Epiphany in Oak Park; “A Joyful Noise!,” showcasing holiday favorites, on December 8, 2018, at Calabasas Performing Arts and Education Center (C-PAEC); “Copland/Randall,” featuring a world premier of a work by Jasper Randall, with Agoura High School Chamber Singers and Women’s Chorus, at Agoura Performing Arts and Education Center (A-PAEC) in Agoura Hills; and the season finale, an inspirational program of choral music by living composers, including Zoltan Kodaly and Olivier Messien,, among others, on June 9, 2019, at Church of the Epiphany. Additionally, the chorale will perform with the San Bernardino Symphony Orchestra in October, the New West Symphony in May, and the LA Opera (under the direction of Lesley Leighton) in June.